It was on this day in 1949 that the first permanent government of the State of Israel assumed office. Ironically or not, this was also the same day that the security council recommended Israel’s admission into the United Nations. That this Kingdom is coming means that all of us will have to adjust our thinking, our way of doing things and our will in order to conform to His way. 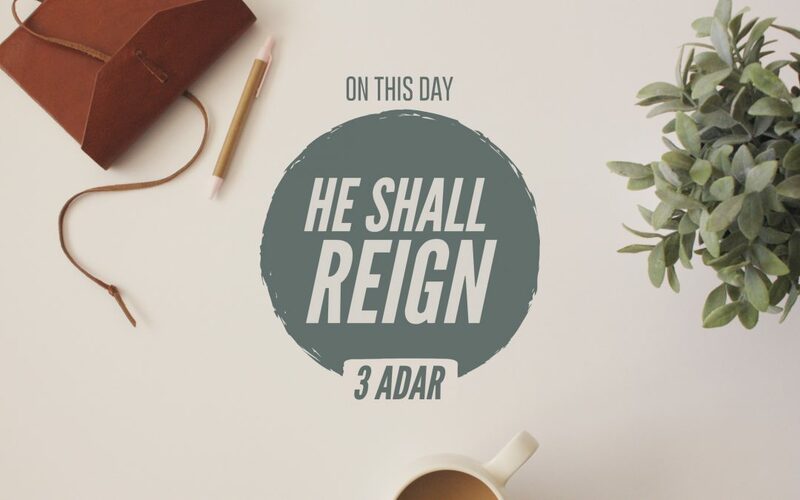 Nevertheless, we say collectively, “Maranatha.” Even so, come Lord Jesus, and sit upon Your Holy Throne and establish Your Kingdom – the one that was ordained from the beginning.